FTP'S MISSION IS TO FEED THE POOR AND BRING AWARENESS TO ENVIRONMENTAL CONCERNS. The organization in an encyclopedia authority of fact based information for the people. Volunteers get to write about anything you love. For example, if you want to write about video games or frogs it's perfectly acceptable. We ask volunteers to cite one source per 300 words. 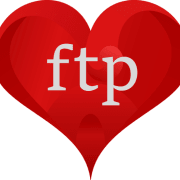 Would you recommend FTP (For the People)?